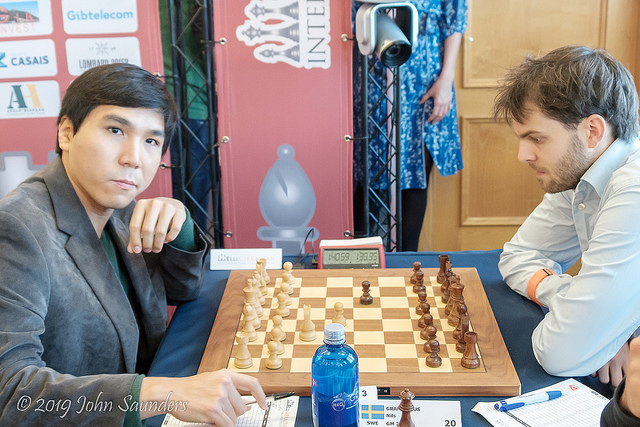 David Navara taking a bye meant there was no clash of leaders, so Vladislav Artemiev was paired down to the tournament’s highest rated player, Maxime Vachier-Lagrave. 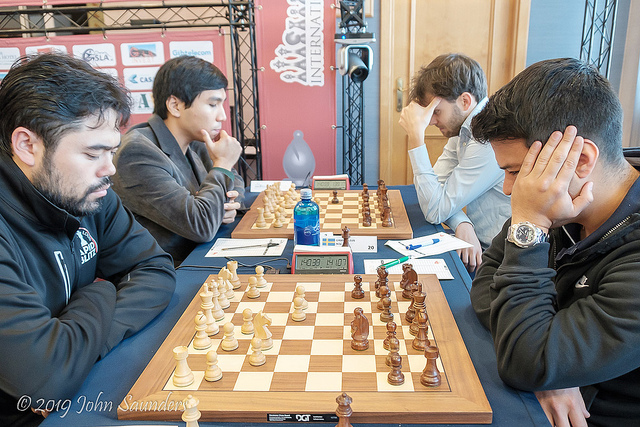 Artemiev played a fairly conservative opening and a draw eventually emerged from a fairly mild encounter. But blood was drawn on the next four boards. 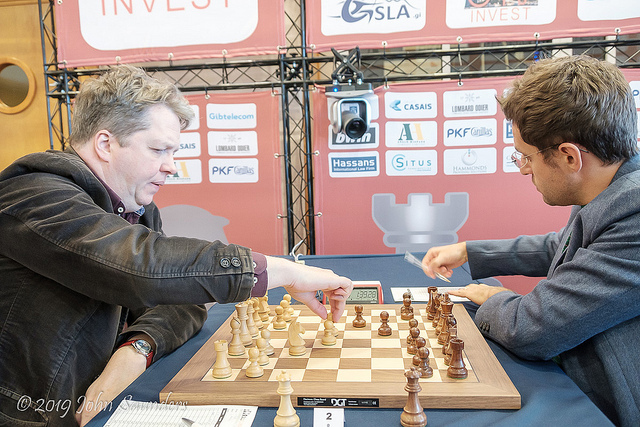 Nigel Short lost in 52 moves to Levon Aronian but, judging from his post-game tweet, he considered resigning much earlier: “Totally outplayed by @LevAronian. Wanted to resign after 25 moves (which would have been completely justified) but was embarrassed to do so. I couldn't even understand what I did wrong.” Since Nigel couldn’t figure out what he got wrong, I suppose the chances of me doing so must be zilch so I’ll leave readers to check that one out for themselves. 1.d4 Nf6 2.c4 e6 3.Nf3 b6 4.g3 Bb7 5.Bg2 Be7 6.0‑0 0‑0 7.Re1 Qc8 8.Nc3 Ne4 9.Bf4 An unusual move but this game may lead to more people trying it as it works out extremely well. 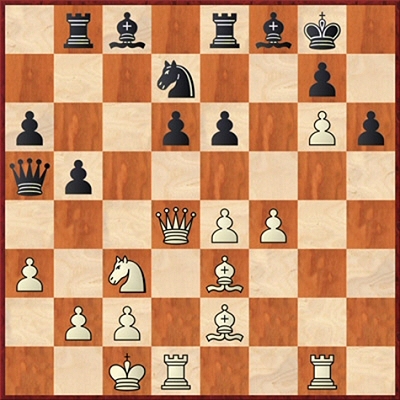 9...Nxc3 10.bxc3 Be4 11.Bf1 Bd6 11...Bxf3 12.exf3 Nc6 13.Bd3 Na5 14.Qc2 was played in Feller-Filip, France 2015, and won by White in the same number of moves and similar fashion to this game. 12.Bc1 Curious how both players have now made two moves with each of their bishops, and that White should have relocated them to their original squares. 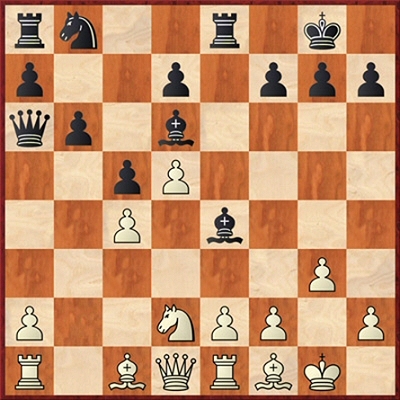 Subsequent play seems to show that White’s bishop deployments are significantly wiser than Black’s as the second player soon finds it hard to develop his queenside. 12...c5? This looks like a major positional errors as after White’s pawn advance it is going to be hard for the black knight to get into the game. 13.d5 exd5 14.cxd5 Re8 15.c4 Qa6 16.Nd2!